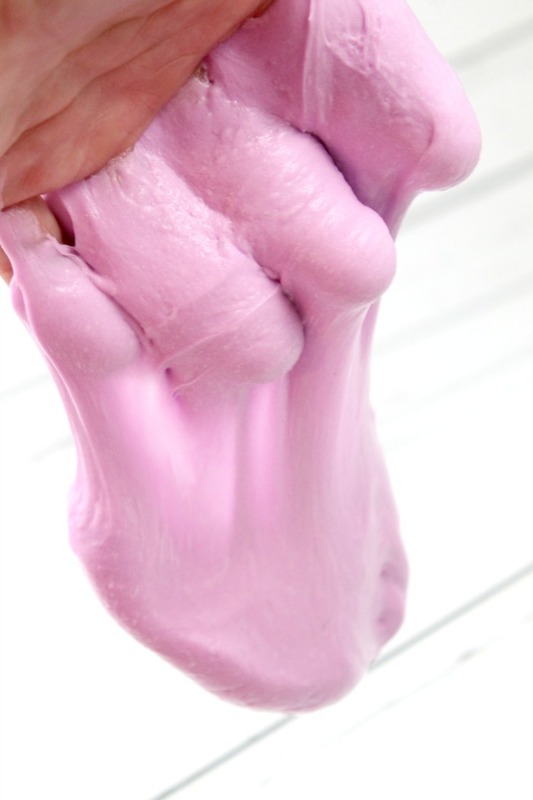 Learn how to Make Fluffy Slime with this Easy Slime Recipe. Fluffy slime is SO much fun to make, but it’s even more fun to play with. Slime is such a great sensory play activity for not only kids but adults too! I know that many parents don’t really find it very appealing to get their hands all sticky but trust me, it’s addicting. So now you’re probably wondering how to make fluffy slime. There are actually many different ways to make fluffy slime! I actually used more ingredients than I normally do for this particular slime recipe but it turned out so good! This fluffy slime is stretchy, squishy and best of all it holds it’s shape so you can make those fun soft serve swirl shapes. Ok, so now on to the recipe. 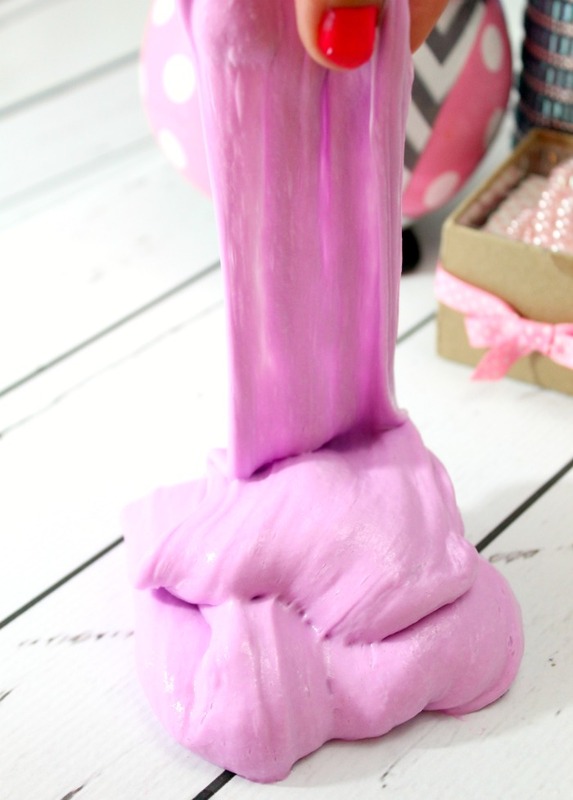 For this DIY fluffy slime recipe you are going to need a few ingredients. Most of them you probably already have at your home but the main ingredient is glue. Glue can be VERY hard to find in stores these days, especially with slime craze going around. I’ve been ordering my glue on amazon and not only is it in stock but it’s a lot cheaper. 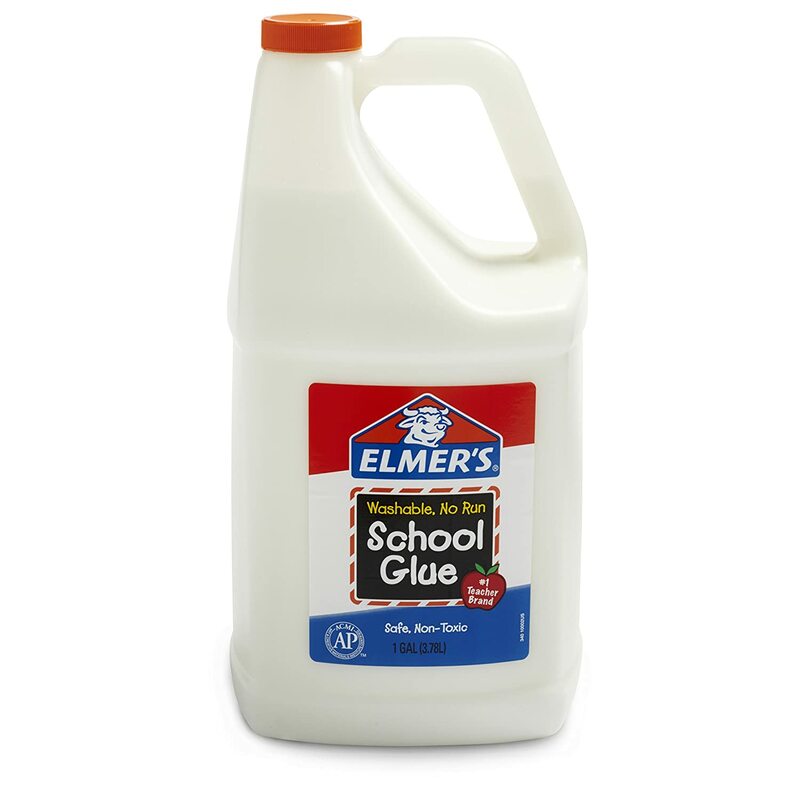 I buy the Elmer’s gallon glue which is about $5 cheaper than at the hobby stores. And that’s if they even have them. In a large bowl add your glue in first. Next you will add in the shaving cream and foaming hand wash. Stir all of these ingredients together. It will look like Whipped cream! Next you are going to stir in the cornstarch. The cornstarch is what helps the fluffy slime hold it’s shape so well. Now add in a few squirts of lotion. You can use any lotion you like but I recommend one that smells good. Mix in your food coloring. 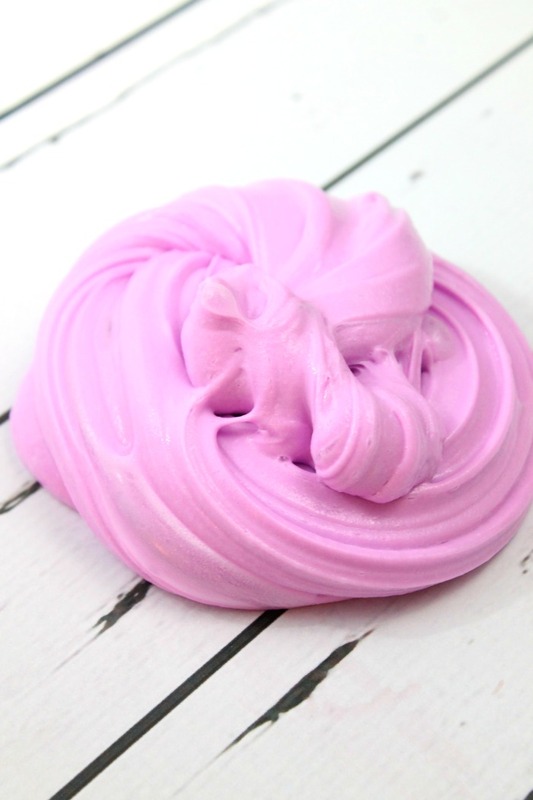 For this slime recipe pictured I used a neon purple color. But you can use whatever color you like. After all of your ingredients are mixed together now it’s time to add the borax slime activator. Make sure you only add in about a teaspoon at a time. Mix in the borax activator until the slime starts to form a ball shape and you can no longer stir it. When this happens take it out of the bowl and knead the fluffy slime with your hands. The more you need the better the slime will be. If it’s still sticky you can add more borax activator. Just remember to only add a small amount each time. The texture of this fluffy slime is amazing! It’s super soft and squishy but it’s easy to make into shapes and squeeze. You can see from the photos below how I can push my hand into the fluffy slime and it leaves and imprint. Slime can be stored in an air tight container for several weeks. Just make sure that you wash your hands before and after playing with slime. When you keep your hands clean, your slime stays clean. 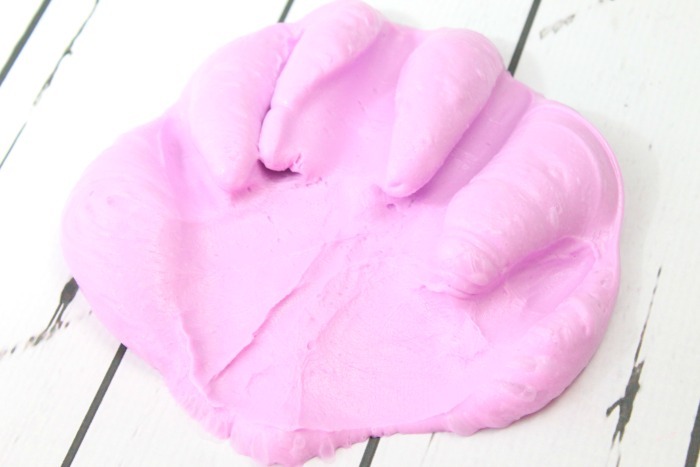 TIP:This slime or any other fluffy slime can easily be made without Borax. All you need is LIQUID STARCH and glue. It’s easy-peasy. Liquid Starch can be found in stores. But you can pick up an inexpensive container of liquid starch here (the same kind I use). I also like to purchase my glue in bulk so that we can make slime anytime we want. Plus it’s a lot cheaper to buy glue in larger quantities.